For all of you who work until 5, especially those of you who commute to Nashville, we know it’s tough to get to an evening activity and have time to grab a bite to eat. We’ll be serving a simple dinner beginning at 6pm, and everyone is invited. We’ll have a few things for the kids to do, since they eat fast. Our first session is called “Igniting the Spark of Spiritual Growth.” We’ll sing for a few minutes to focus our minds and let our stomachs settle, and then we’ll begin this class-style session on getting the fire of spiritual growth lit. Sometimes the first step is the most difficult. Spiritual growth isn’t just talk. It is action. So during the day on Saturday, we’ve lined up a few service projects and opportunities for you to walk the talk. We’ll have more details about these on Friday night. Our second class-style session is “Tending the Fire of Spiritual Passion.” We have to keep the fire kindled, or we risk burning out. How do we maintain passion? Why would we even want to? This will be the focus of our study on Saturday night. Easter Sunday will be a “Friends and Family Day.” Invite your friends who only come a few times a year, and invite your family, near or far away. This will be a great day to recharge our spiritual batteries from the power that rolled the stone from the tomb of Jesus. Sunday School classes are available for all ages. The adult class in the auditorium will discuss “Overcoming the Past” — a lesson from the life of the Old Testament hero, Joseph. We are planning on an extended period of worship on this special Sunday morning. Our theme is “Refueling, Refilling, and Reviving.” This lesson will be the closing charge of our spiritual growth workshop. We’re planning a special Easter Egg Hunt at Montgomery Bell Park’s Woodhaven Shelter. Kids of all ages are invited! Bring your family and your friends for a great picnic at the park. We’ll enjoy beautiful spring weather — but if Tennessee’s weather should throw us a curveball, we’ll move the activities to our fellowship hall. This is going to be a great weekend for all of us. 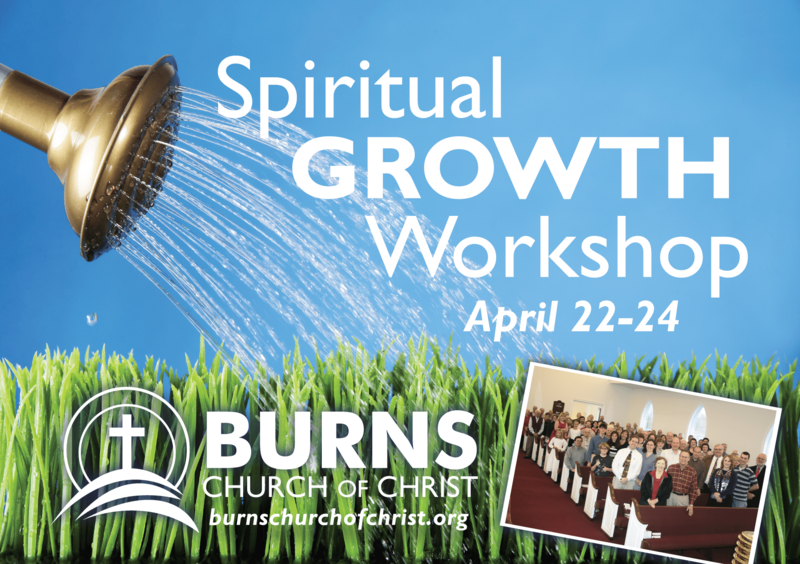 Everyone needs spiritual growth, and we hope this weekend will foster true growth and revival in our community. If you have any questions, email us or contact the church office at (615) 441-3984.